Luckily for us, her hand touches everything at Mama Manoush, a big Lebanese restaurant in the old Lady Carolina premises. 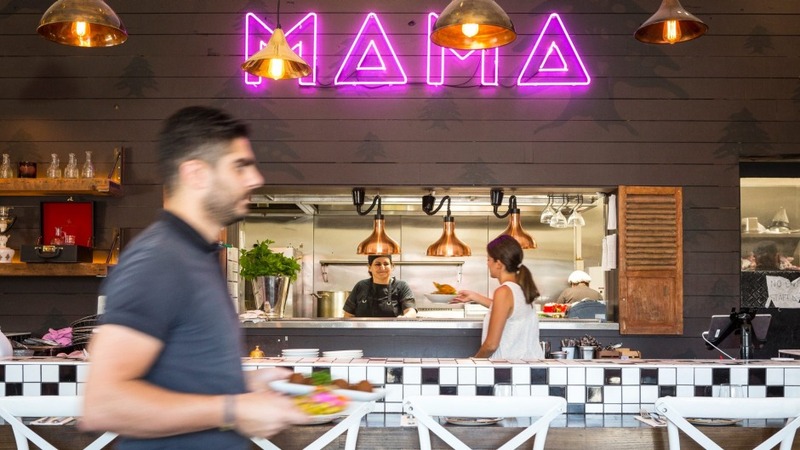 Mama Manoush was in Fitzroy in smaller digs, then Kairouz, in partnership with the Hachem family, her Fairfield neighbours from way back, succumbed to exhortations to bring her simple, heartfelt food to a bigger audience. It's always been a bit like this. Ever since she came to Australia 33 years ago, Kairouz was told she should open a restaurant. They said it at her Monday "family nights" at which up to 50 people feasted. They told her at the school fetes, when she filled the crowds with falafel and tabouli. And finally, she listened, cooking the dishes she learnt from her mother and grandmother, creating with loving patience and new energy every day. The best way to experience the food here is as a banquet. 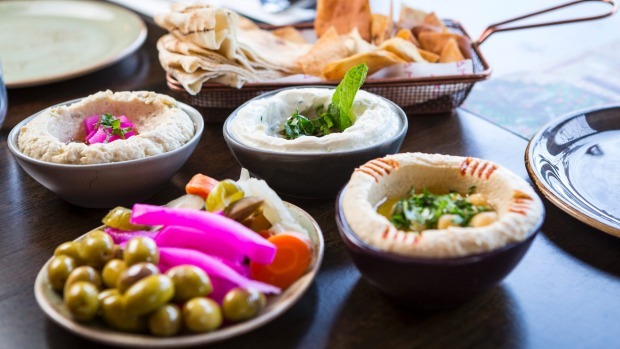 You'll get dips – silky hummus, smoky eggplant and bright labne pitted with a well of excellent olive oil. There'll be olives too, and pickled turnip dyed puce with beetroot, and cabbage that's soft and crunchy at once, and hot pita bread and crisp pita bread, and don't eat too fast because it just keeps coming. Golden-fringed cauliflower is drizzled with tahini: it's sweet and ever so slightly caramelised. Crisp feta-stuffed pastry cigars are scented with Lebanese oregano. 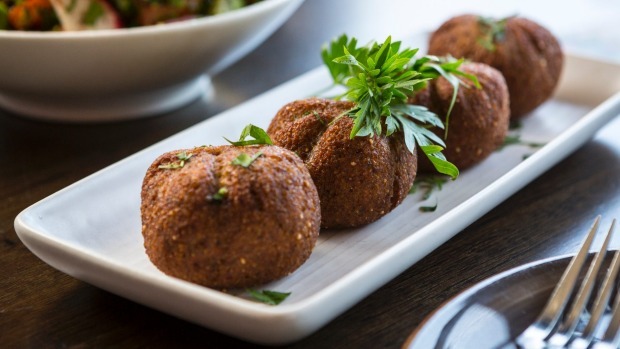 Pumpkin is mixed with burgul to form a crisp shell for chickpea and spinach-stuffed kibbeh. Are you full yet? Don't be, there's more, much more. 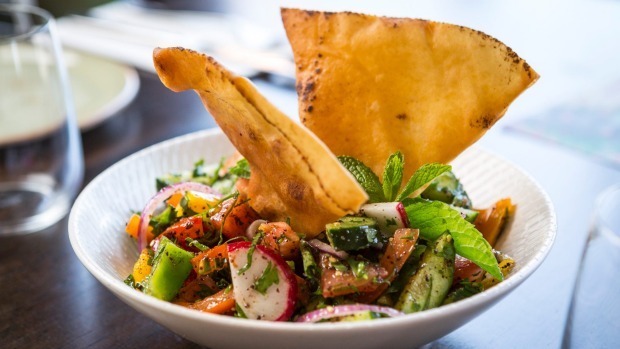 Fattoush is a chopped salad with radish, tomato, capsicum and cucumber, sprinkled with citrusy sumac and speared with fried pita. Hot from the charcoal grill, parsley-studded lamb kofte are gleaming, plump, juicy. Then there's the pilaf, domed and delicate, a long-grained symphony of rice and ground beef, dotted with shredded chicken, strewn with toasted almonds. Dessert would be the last thing on a reasonable person's mind at this point, but I don't mind telling you that I ordered an extra. 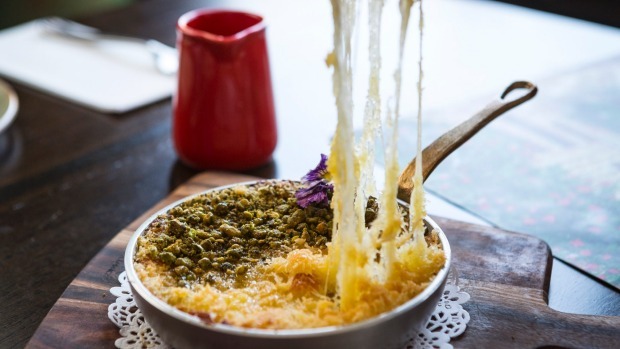 The banquet comes with mouhalabieh, a custard flan, but I couldn't resist the kanafeh, a baked cheese pastry, sweet with savoury undertones, topped with shredded pastry and chopped pistachios. I love the play of sugar and salt, stretchy and crunchy – this is a pie to stop conversation, thought, time. Book for the restaurant or consider Mama's Garden out the back, an easy-come-easy-go hangout for wraps and beers. Throughout, traditional and contemporary elements coexist easily: scenes from old Beirut – a woman smoking a shisha, a man playing the oud – are rendered in spray paint; the oregano comes from Lebanon in a suitcase but the neon signage is designer magenta; service is tuned in and responsive. It's moving to see food that has been passed down from hand to hand for centuries eaten and Instagrammed with gusto. What does Elizabeth Kairouz, humble magician, think of it all? "To be honest, it makes me cry," she says. "I never say I know how to cook. Every day I try something new. But to be here and people appreciate the food … I love it."